Elizabeth Slayton attended the School of the Museum of Fine Arts in Boston and Pennsylvania State University. She has been painting and exhibiting for more than 40 years. She lives with her husband in Boston and together they have two grown children and three grandchildren. Her illustrated book, Kodah and Me, is a story of a child’s longing for companionship, belonging and guidance. 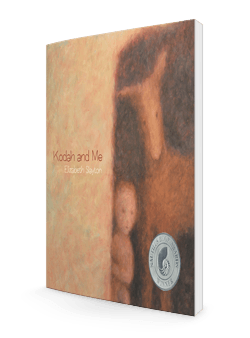 Kodah and Me is a tender story for small children and for the child in all of us. It reminds us of the age-old wisdom that to find our way into the circle of belonging we need to listen deeply to ourselves and to those friends that we have come to truly trust. It’s a little treasure of a book. 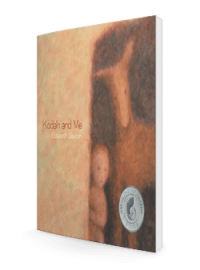 Elizabeth Slayton’s Kodah and Me is visually stunning and lyrical, like a child’s dream. Like all good children’s literature, it gives both child and adult something to ponder. 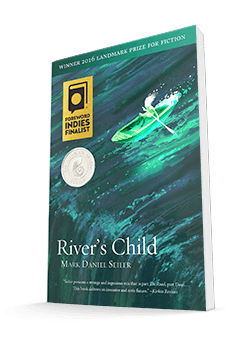 I look forward to reading it with my own children. To lead the heart of a child, or, as importantly, that of a growing adult onto the path of perennial wisdom, one must know the way. 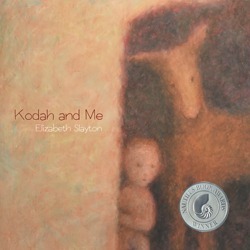 Elizabeth Slayton’s Kodah and Me is a delightful guide for those embarking on the journey. Here is an earthen, organic faith that revels in companionship and navigates the darkness and the light with a fierce and tender grace. Enter and walk this parabolic dreamscape and you will return with something wonderful to share with your children and theirs. 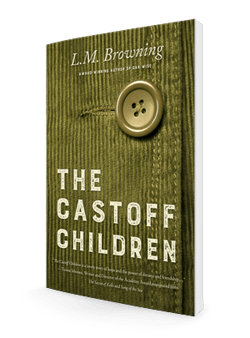 Children, dreams, poetry, myth–they muse with image and innuendo. This beautiful book of art and word wafts its delicate way into that expansive and magical world.